Cracked Lens Productions was started in November of 1999 by Josh Bryant offering photos, videos, and equipment links. A small collection of supermotard images. Skating pictures and footage from North and South Carolina. Team site includes photos and related links. Local skaters from Waterford, MI with a messageboard, photos, and videos. Offering the Ultimate Heavy Athletics Series of videos. USSSA youth basketball tournaments for all age groups in the Tulsa, OK area. Offering professional video taping of Barrel Racing events. John Dunigan offers online tips and new insights into the way the game is learned. Produces team roping events in Oklahoma, Texas, Kansas and Missouri. Professionally managed cycling events and races in Southern California. Don Kings Florida-based promotion company and home of many boxing champions. Promotes events in Georgia. In league with the ISCF and IKF Sanctioning bodies. Home of the Bladez team in Camarillo includes news, coaches and choreography. Promoters of bicycle road, criterium, and cyclocross racing events in Southern California. Provider of 24-hour events in the Southeastern United States publishes forms, schedule, and links. Traffic education for kids, public service announcements, links and bicycle safety products. Offers downloadable videos in real or mpeg format, image gallery and related links. Freeride, trials, urban and downhill videos by young mountain bikers. Made in Canada. Sports and entertainment arena, home of theater productions and ice hockeys, the Mighty Ducks. This site is for high school athletes who are looking to make a highlight tape to send to colleges. Provider of 24-hour events throughout the United States publishes schedule, rules, forms, forums, photos, and articles. Production company specializing in shows of bull riding, barrel racing, calf scramble, mutton busting, and cowboy poker. Services here are geared toward filming, editing, and formatting your horse or horses for viewing on a Video, DVD, CD or the Internet. Complete information on ordering is provided. Includes general and roping information. Adult recreational hockey tournaments and vacations. Southern California NPC event schedule, ticket information and contact information. Producing Barrel Racing events. Based in Oklahoma City, Oklahoma. For over 15 years, Time Out! Productions presents this series of multisport events. Production company specializing in shows of bullriding, barrel racing, calf scramble, mutton busting, and cowboy poker. Location Guston, Kentucky. If the business hours of Cracked Lens Productions in may vary on holidays like Valentine’s Day, Washington’s Birthday, St. Patrick’s Day, Easter, Easter eve and Mother’s day. We display standard opening hours and price ranges in our profile site. We recommend to check out clp.8m.com/ for further information. 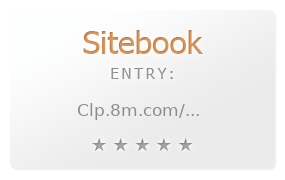 You can also search for Alternatives for clp.8m.com/ on our Review Site Sitebook.org All trademarks are the property of their respective owners. If we should delete this entry, please send us a short E-Mail.